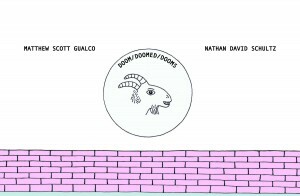 Category: Books, Drawings, Matthew Scott Gualco, Prints. Tags: books, illustration, print. 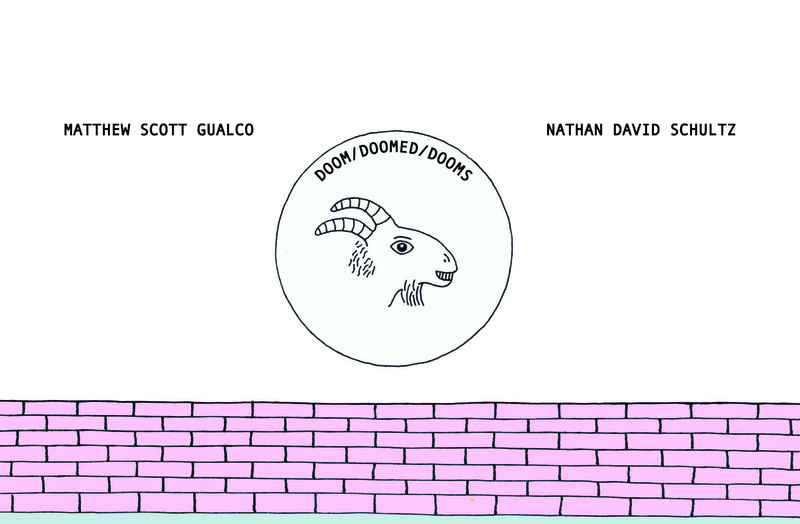 Gualco’s new book Doom/Doomed/Dooms is an independently printed, thirty-page appropriation of quotes from various highly-influential individuals, where all quotes relate to impending doom. Quotes from such characters such as Mark Twain, Confucius, Groucho Marx, Friedrich Nietzsche, FDR, and Henry David Thoreau are all juxtaposed with a simple, colored pencil drawings, which draw upon the style and symbolic language of children’s illustration.